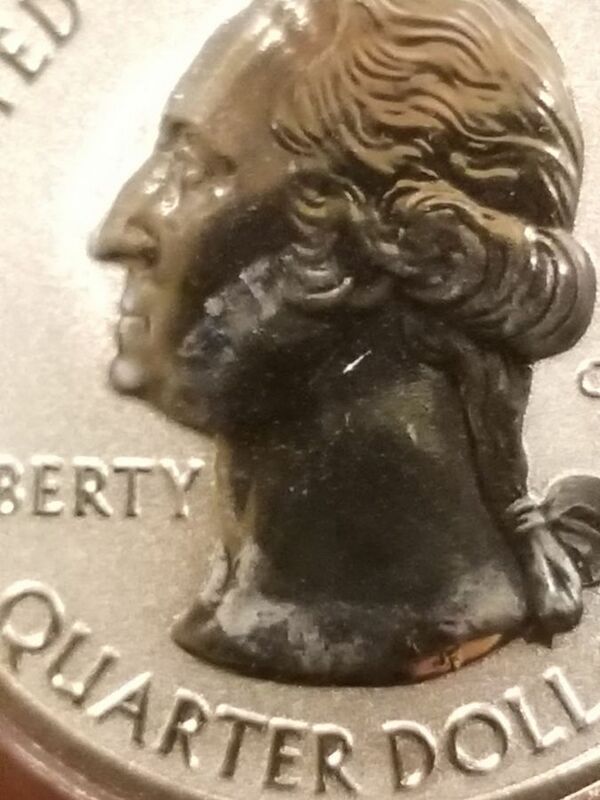 Does this look like an error or just a really poor quality reverse quarter? From your picture, it appears to be something - a contaminant or damage done by a contaminant - on the surface of the coin, and not an error. It's the frost from the background not something on the surface. It looks like it was supposed to be polished and didn't get done very well. Agreed. Someone in quality control at the San Francisco Mint was distracted or asleep at the switch.